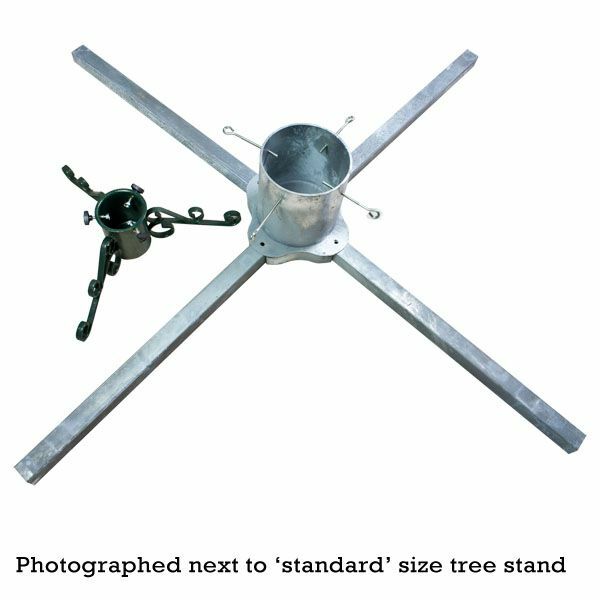 Heavy duty galvanised metal stand ideal for commercial display of large trees up to 15 feet tall, trunk diameter up to 8 inches(20cms). 4 x 3 feet long legs slot into cylinder to provide a stable base. These stands are used by many councils to safely stand tall trees. Ideal for commercial display use.